Home/beautiful, Eyelashes, Lashes, Reno, time saving/What are Lash Extensions? I am on cloud nine!! I just got lash extensions for the first time! I have been doing lash extensions now for over a year but hadn’t found the right person to do mine. Well I finally found her. Linda McKinley does an amazing job and I would highly recommend her. She has a advanced degree from Extreme Lashes and really does an amazing job. Lash Extension is a procedure where a licensed professional adheres and individual, lush and long lash to your puny, thin lash. It is a semi-permanent procedure, meaning the lashes eventually fall off as your natural lashes do. 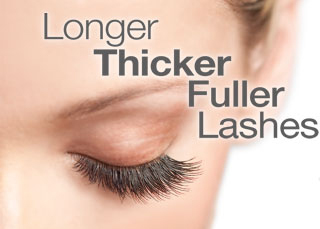 The recommendation is that you come back in to get “a fill” every 2-3 weeks to replace the lashes that you have lost. It takes approximately 2 hours for the initial set. Fills are anywhere from an hour to hour and thirty minutes, depending on how many lashes you have lost. Lash Extensions are glamorous! Nothing is as flirty as long lush lashes! If you can afford the upkeep I would say do them all the time! They are beautiful and they save you a ton of time in the morning not having to use mascara or a lash curler. Pricing around the Reno area run between $250-$200 for the full set and $150-$100 for the fills. Here is an excellent article by Dana Oliver, about the lash extensions and she does such a good job covering the pros and cons I do not feel it necessary to duplicate her list. Here is what mine looked like when Linda was done with me! I loved them! Everyone should try them at least once! I hope this post was helpful and please send me an email and let me know what you are interested in hearing more about. By Michon Kessler| 2013-07-30T11:00:00+00:00	July 30th, 2013|beautiful, Eyelashes, Lashes, Reno, time saving|Comments Off on What are Lash Extensions?